On Wednesday we learned the sad news that Deborah Cavendish, the Dowager Duchess of Devonshire, had passed away. As the last of the Mitford sisters, who you all probably know I am a huge fan of, for me it seemed like a particular part of history had died out. I don’t really want to say lots about it, partly as I don’t feel qualified to sing her praises enough and partly as I never knew or even met Deborah Devonshire in the flesh. Yet through her wonderful writing both to her sisters and in the diaries, memoirs and essays she kept, I did feel like I would have loved to sit and have a gossip and a chat with her, I think wicked laughter would have ensued as her wit, like all the Mitford sisters, was wondair. 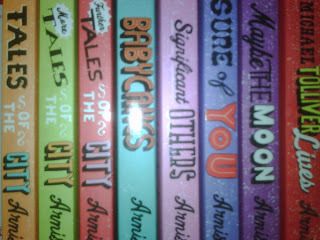 The hours spent reading those has been a joy so I am hugely thankful for that, and the reading I still have to come. “Thousands of people come to walk in the park at Chatsworth all year round. There is no way of telling how many, because it is free. Most people enjoy it, or presumably they wouldn’t come, but every now and again a letter of criticism arrives. That gives you just a taste of what wonderful company she must have been and indeed what a wonderful woman she was. If you haven’t read her I would urge you to try Wait for Me or Counting My Chickens, I will be getting All in One Basket off the shelves once back from London. And you must, must read The Mitfords; Letters Between Six Sisters if you haven’t. It is like a history of the UK since the early 1900’s, told with wit and incredible insight both from the sisters perspectives and places in society. In fact go and get it now! It is wonderful that we have the words and works of Deborah and her five sisters; Pamela, Unity, Nancy, Diana and Jessica, do admit! A memoir is a very difficult kind of book to surmise and really give impartial thoughts on. Invariably, and in particular in the case of a one such as ‘Wait for Me!’ you are reading the book because it’s someone who you are fascinated by and their life. So I might have to throw impartiality out the window with my thoughts here. Deborah Devonshire is someone I have become particularly interested in over the last few years since reading ‘Letters Between Six Sisters’ and becoming a Mitfordoholic and also since finding out she was the Duchess of Devonshire who made Chatsworth, which was a huge part of my childhood growing up down the road in Matlock Bath, come alive again. In her open and frank writing, you imagine there is predominantly a sparkle in her eye and a wry smile on her face as she writes (apart from obviously discussing the war, the deaths of some of her children not long after birth and the deaths of her husband and siblings who she has outlived), she takes us through her childhood in the Mitford house, her debutante days in the 1930’s, meetings with Hitler and the Queen (not at the same time), marrying a Duke’s second son, becoming a Duchess and inheriting Chatsworth, Hardwick Hall and huge death duties, to her life as a widow and Dowager Duchess now. This starts from her birth date, a blank date in her mother’s engagements book, on the 31st of March 1920 until very recently – a huge amount of history of which she was in many ways rather privy to. This of course makes fascinating reading to anyone wanting to know British history and I would say easily equals the lives of the Mitford family themselves. I could possibly read about the Mitford’s all day long, so that was a huge box ticked for me from the start. What I didn’t expect was to be so enthralled, the way war affected her, the legacies and old laws of great families of society, and how not many years ago young women of the day were brought up to be wives and little more. Well look at all this wife achieved for her family. The times between the World War’s and the time just post WWII are two particular times in history I find fascinating and we get these in abundance, the sense of uncertainty is there on the pages if often with a funny tale thrown in throughout. There is also a huge emotional pull in this book. The relationships between siblings are wonderfully displayed in terms of both the highs and the lows. There is an honesty from Deborah of how she wished she had known her brother better before he died in the war, how she might have done more after Unity, renowned for being a friend of Hitler, survived after shooting herself in the head when war was declared, and the genuine shock when she learnt her sister Nancy had advised the government to keep her other sister Diana locked up in prison as a danger to the country for her political views. There is the completely bare heartbreak of having children prematurely and their deaths. There is also the hardship of living with and loving someone who is an alcoholic, as her husband Andrew became, how you deal with that and how in old age they spend their time feeling they don’t want to live anymore. It is honestly incredible. I think what makes this ever more impressive and ‘readable’ is all down to Deborah Devonshire’s voice and narrative through the book – its like talking to a very wise friend who is imparting gems of history, advice and knowledge onto you. You could actually be sat with her, the voice rings so true. I am also amazed she never wrote fiction, the atmosphere and sense of place be you in a derelict Chatsworth, Hitler’s lounge, London during the Blitz, visiting Buckingham Palace or the countryside in the 1920’s just comes out the pages seemingly effortlessly and often with much humour. I could ramble on about how much I loved this book for hours and hours. I could happily in fact just quote the whole thing. Instead though I shall simply say read it (and you can win a copy here), read it as soon as you can. Be you a lover of history, of the Mitford’s it’s a book for you, and those of you who think ‘oh no, not my cup of tea’ I dare you to give it a go and not come back converted and a possible Mitfordoholic too. Easily one of my favourite reads of this year, and one I have had to read on and off to prolong the enjoyment, I was very sad when I turned the final page. P.S My only criticism of this book is the covers of both the UK hardback and paperback. The American one is rightly glamorous and less like the memoirs of an older lady who might be a bit eccentric with her chickens or her dog! It doesn’t show really what the book is truly about. Small issue, but needed to mention it. I thought as I am in the delightful Derbyshire for a long weekend and having Chatsworth House just down the road ‘Counting My Chickens’ by Deborah Devonshire would be the perfect post to have up on the blog and be a delightful read in the lead up to going and get me in the mood to be back in my homeland. Not that Chatsworth is my home, I wish, but the area surrounding it was a huge part of my childhood. Throw in the fact that Deborah Devonshire is one of the Mitford sisters, who I adore reading and reading about, what could make a more perfect Sunday recommendation? I knew nothing of the Mitford sisters, especially not that one lived so nearby my family home, until I read ‘The Mitford’s: Letters Between Six Sisters’ a few years ago which swiftly became one of my all time favourite reads. Deborah Devonshire, or ‘Debo’, is the youngest and last surviving of the Mitford sisters and was also one of the people responsible for turning Chatsworth into the stately success that it has become. In an assorted collection of articles, diaries and reviews we gain a greater in sight into her life. From here childhood with her siblings, to taking on Chatsworth and all it entails and to how live has changed for her over the years (I wanted to say as she aged but I fear it would be improper with a Mitford sister and rather impolite). There are three sections to the collection; ‘Diaries’ looks at her life over several years and has titbits on her sisters and other famous relatives, her thoughts on the TV version of ‘Love in a Cold Climate’ are interesting and thought provoking. ‘Chatsworth’ looks at how the estate has changed over the years, the responsibilities of it and how much she adores the place and the staff it has housed who have become friends. ‘Books and Company’ is a selection of reviews of books by those she knows or those in the ‘stately home’ genre plus more of a look back on her childhood. I loved all the sections but it was ‘Chatsworth’ that sang out to me, probably because I was one of the youngsters that used to play in the parkland way back when. It really evokes the atmosphere and scenery of that beautiful part of the English countryside. In fact if you love books that are quintessentially English you need go no further than this or indeed any other Mitford memoir. Like her sister Nancy (I have yet to read anything by Jessica) Deborah Devonshire has a way of phrasing things which is sardonic and wry yet delightful and warming. I wonder if it was in their gene pool. I really loved this book, I will admit the bits on gardening passed me by a little, and the rest was just a pure pleasure from start to finish. It simply makes me think I must read more Mitford both fiction and non because time spent reading them is ‘wondair, do admit’! The Mitford’s: Letters Between Six Sisters edited by Charlotte Mosley – I think it could be the best collection of letters ever. Told over a huge expanse of British history you are given an insight quite unlike any other, you’ll be hard pressed to put it down. In The Pursuit of Love by Nancy Mitford – which had me laughing out loud in bed one evening to the point that I was in tears. 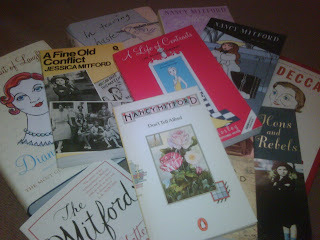 Which other Mitford books can you recommend? Have you yet to try one? Have you been to Chatsworth? What other quintessentially English books can you think of?